Nausea struck Corrie Butler as soon as she stepped inside the white clapboard home in Weston, Conn. The stench — a stomach-churning fusion of feces and putrefying flesh, baked in months of summer heat — was unlike anything the experienced animal rescuer had ever encountered. It overwhelmed her, even though she was in a hazmat suit, with her face hidden behind a respirator mask. If the smell was revolting, the horrifying scene inside the dilapidated house was even worse: Hundreds of snakes and exotic birds — some of them dead — were packed inside the cluttered, darkened rooms, according to Butler, a facility manager at Rhode Island Parrot Rescue. Some of the animals were trapped in stacks of bug-infested cages and aquariums; others were hidden beneath rotting piles of trash, cobwebs and debris. In some areas of the house, the floor was carpeted with several inches of urine-soaked refuse, birdseed and desiccated animal remains. Wherever rescuers turned, it seemed, more suffering awaited. In one room, a toucan beak was found among the debris. In another, a pillowcase full of snakes was discovered in a drawer, where rescuers estimated it had been for months. Somehow, those snakes — and close to 50 other serpents — were still alive, though barely. But the 1,500-square-foot house contained more than 100 dead reptiles, many of them stuffed in bags and left to die. The brightly colored birds — lories, rare macaws, a laughing kookaburra, cockatoos, parrots and parakeets — had fared no better. Inside cages caked in filth, emaciated creatures had turned to self-mutilation and begun plucking their vibrant plumage. Rescuers found others sitting in piles of excrement more than a foot high, often beside the decomposing carcasses of their cage mates. Deprived of water, unable to bathe and covered in so much urine their feathers had begun to fall out, some birds looked “melted,” one rescuer said. Instead of chirping or imitating human voices, the birds were eerily silent. “It was terrible, like something from a horror movie,” Butler said. What made it even more disturbing was the identity of the home’s owner: Daniel Kopulos, a wildlife conservationist who owned an exotic pet shop in Manhattan. Kopulos does not have a history of harming animals, investigators say. In fact, he was widely admired as a force for good — a dedicated advocate for endangered birds and other threatened species. Kopulos is scheduled to appear in Norwalk Superior Court on Oct. 24. If convicted, he faces a $1,000 fine and up to a year in prison, the Forum reported. Kopulos could did not immediately respond to a request for comment after he was charged. He declined repeated attempts to be interviewed by The Washington Post in the weeks prior to his surrender, but said in brief emails that the case “has destroyed my life, my reputation, and is spilling over to my employees and others that are close to me.” People close to him are being harassed by “animal welfare people,” he wrote, adding that he worried about the “devastating effects” a story about him might have on his conservation work. “There is obviously another side to the story,” he wrote last month, without elaborating. “Behind the reported story is a real person whose life is being destroyed,” he added. 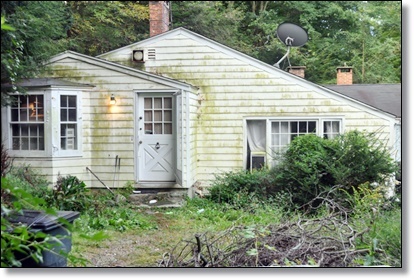 Police were called to the home on Sept. 15 for an “odor investigation.” Responding officers were so overwhelmed by the noxious air that they had to retreat before calling the Connecticut Department of Energy and Environmental Protection. Firefighters, health officials, hazardous materials workers, veterinarians and authorities from the state Office of Emergency Management and Homeland Security were eventually called to assist. Over the course of 12 grueling hours, Butler and other rescuers removed about 220 non-venomous reptiles and birds worth more than $100,000 from the two-bedroom home and a barnlike building on the 3.3-acre property. There were so many animals, rescuers said, that they had to be transported to facilities in a 34-foot horse trailer. Police said the 41-year-old Kopulos — who purchased the property in 2009 — was living at the residence, without running water, when the grisly discovery was made. The day authorities arrived, Kopulos told them he planned to spend the night in the house; but he was not allowed inside, and the property is now condemned, authorities say. 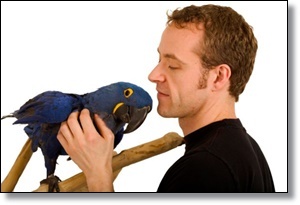 The paper referred to Kopulos as “the soft-spoken bird whisperer,” and he even appeared on NBC’s “Today” show. The New York Times reported that Fauna had 700 animals in the store at any given time, and there were another 400 “in various stages of being bred, hatched or hand-raised” at Kopulos’s home and aviary in Weston. Among that population, the paper reported, were endangered species that Kopulos bred for conservation and not commercial purposes. Presumably, rescuers said, these were some of the same animals that were found dead and dying at his home earlier this month. Fauna’s Manhattan location has closed. The store was thought to be moving to Yonkers, but calls to the number listed on the Fauna website were not answered, and voice-mail messages were not returned. The store’s social media accounts have also disappeared. The cruelty allegations against Kopulos have shocked the conservation community and those who have worked with him. Photographer Kathryn Elsesser traveled to Guatemala with Kopulos for several weeks in 2012 to document his efforts to teach local veterinarians about macaw husbandry and chick rearing. His goal, she said, was to start a nonprofit organization to aid scarlet macaw conservation. Kopulos seemed to care deeply about the birds, Elsesser said. Even minor details — the type of plastic used in the animals’ feeders, the best way to mix their food — merited grave concern, she recalled. He never displayed any behavior, she said, that could have hinted at a penchant for hurting animals. The reasons people begin hoarding wildlife vary, according to the American Society for the Prevention of Cruelty to Animals. Researchers have linked the practice to obsessive compulsive disorder in the past, but newer theories suggest depression, paranoia and “attachment disorders in conjunction with personality disorders” can play a role. “Some animal hoarders began collecting after a traumatic event or loss, while others see themselves as ‘rescuers’ who save animals from lives on the street,” the ASPCA reports. 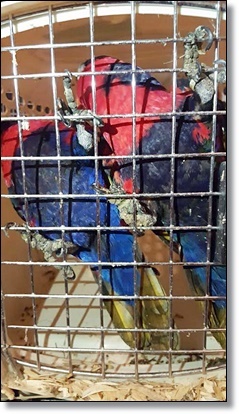 Valerie Ashley, the director of Rhode Island Parrot Rescue, said it’s hard to understand how a wildlife lover could relegate “some of the most beautiful birds on the planet” to filthy chicken-wire cages and bug-infested breeder boxes. Given the animals’ intelligence and their need for stimulation, Ashley compared the treatment to putting a special-needs child in solitary confinement — for months. “Instead, he just walked away and let them starve,” she said. Five of the birds, out of a total of 118 rescued by Rhode Island Parrot Rescue, have since died — and it will take months to nurse the others back to mental and physical health, Ashley said. Even more animals were removed from the property by other New England rescue groups. In the media, Kopulos portrayed himself as an environmentally conscious business owner with a lifelong love of wildlife. He told the Epoch Times that he was raised on a farm in Nashville, where he began caring for injured raccoons and squirrels at any early age. He said he got his first bird when he was 11 and began breeding them a year later. Rescuers said they do not know what happened to Patches or whether he’s among the massive flock of rescued animals whose names they don’t know. Ashley said the belief that Kopulos’s home was a rescue shelter led many people to hand their pets over to him when they could no longer care for their animals. Now, she said, those same people are calling her to find out whether their former pets are dead. On his Facebook page, Kopulos has railed against animal mistreatment in recent months. In July, he posted an article about teenagers suspected of beating porcupines to death in New York. Daniel Kopulos’s home in Weston. 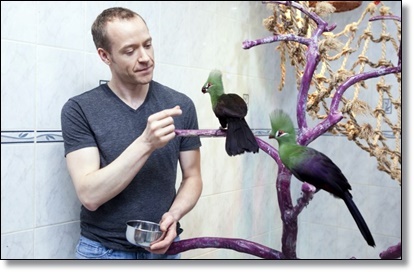 Daniel Kopulos feeds two Persian Turacos at his exotic pet store.